The pavilion displays majestic trees on a miniature scale. 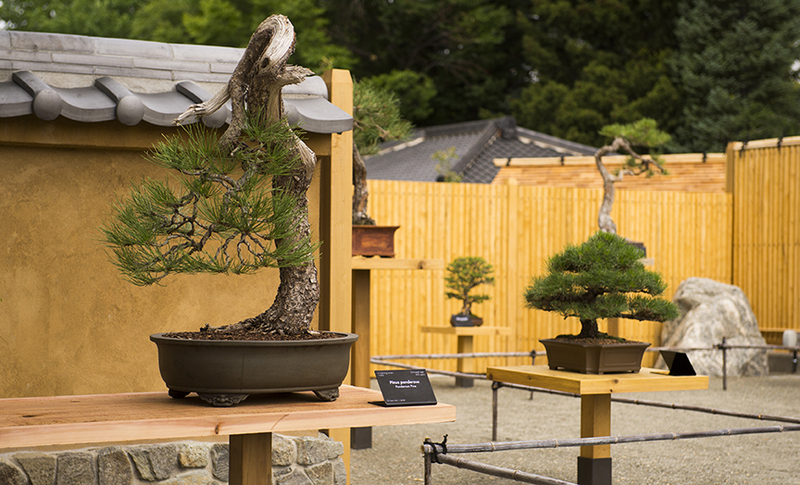 Bonsai from Rocky Mountain tree species appear on outdoor pedestals, while tropical specimens fill a glass house. Within the glass house, a water table provides humidity for these tender bonsai. Also on display are viewing stones suggestive of landscapes. Dedicated in 1966 and awarded Denver Landmark Status in 1973, the conservatory is one of the world’s most unique displays of exotic plants from tropical and subtropical regions. Midway on a circular path is a fabricated two-story banyan tree that offers a multi-layered view of the indoor tropical forest. 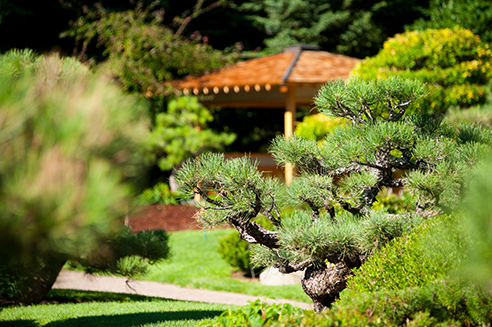 松風園 Shofu-en translates to ‘Garden of Pine and Wind.’ A traditional Japanese stroll garden, Shofu-en was inspired by Colorado’s Rocky Mountains and it features 130 character pines transplanted from the foothills. It was designed by Koichi Kawana and built in 1979. 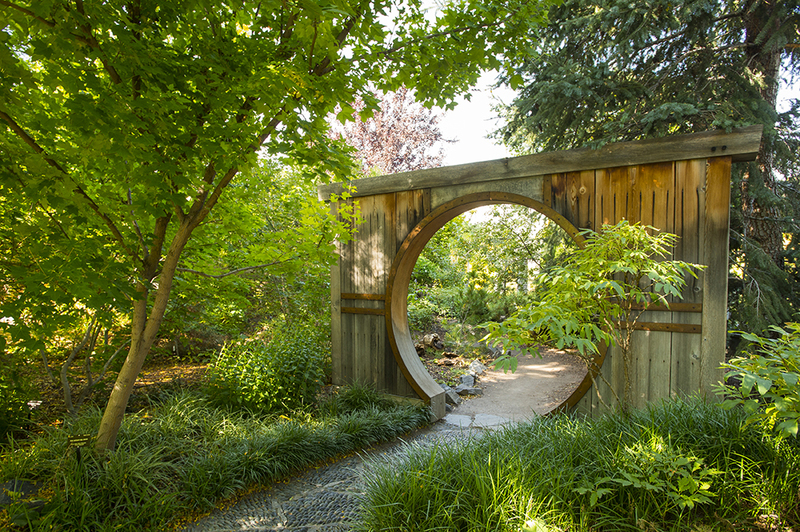 This intimate garden features eastern Asian plants, including peonies, bamboos and wild-collected species from the steppe regions of Kazakhstan and Pakistan. 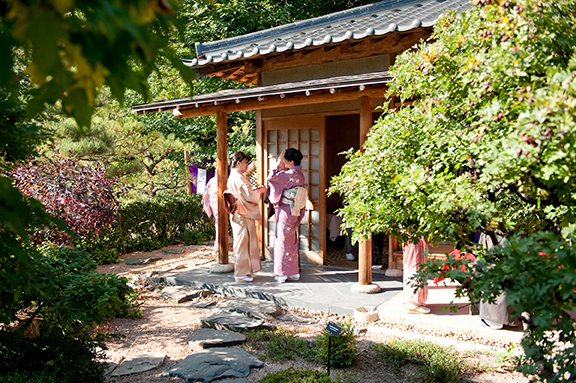 A lush woodland area displays Himalayan and lacebark pines, and more than a dozen varieties of Asian maple. 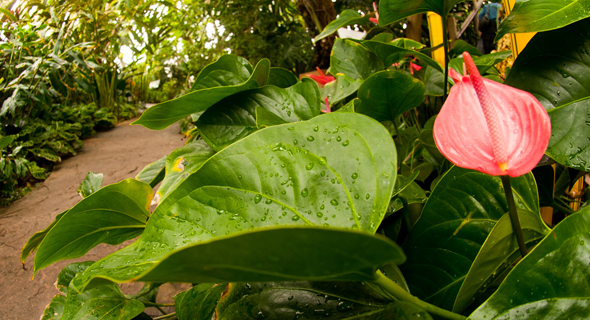 This two-story indoor garden is a rotating display of the tropical greenhouse collections. 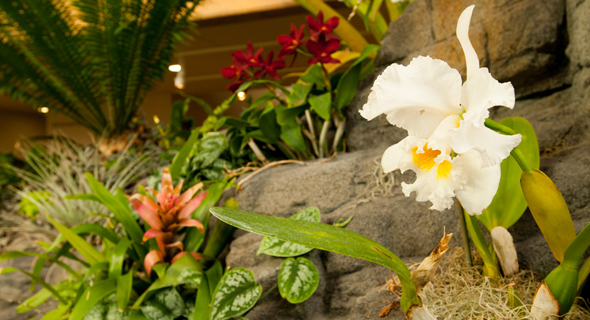 Recesses within the walls allow staff to easily change out orchids, bromeliads and other tropical plants as they come into bloom. 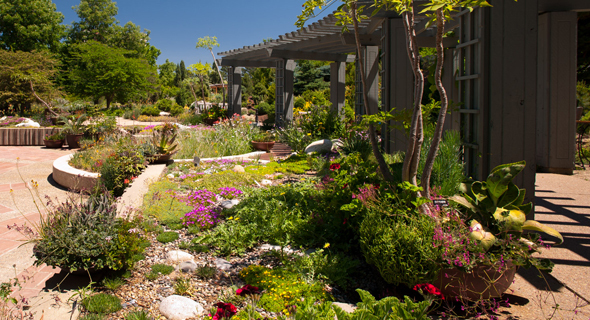 Home to more than 2,300 species of plants, this internationally acclaimed garden exemplifies the art of rock gardening. It simulates more than 20 habitats of varying slopes, soil types, moisture needs and exposures. 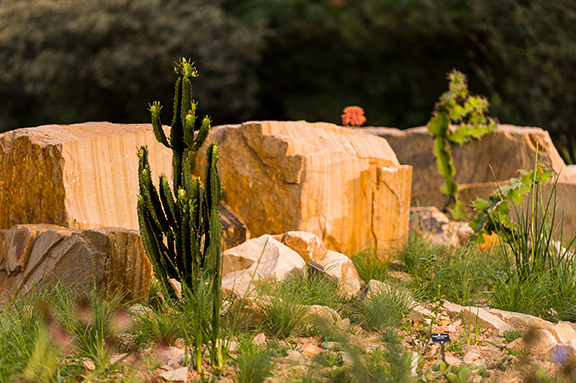 This exotic garden showcases South Africa’s rich plant diversity, and highlights the complexity and fragility of the country’s steppe region. It also shows South Africa’s influence on Colorado gardens, displaying hardy Delosperma and the fanciful annual, lion’s ear. 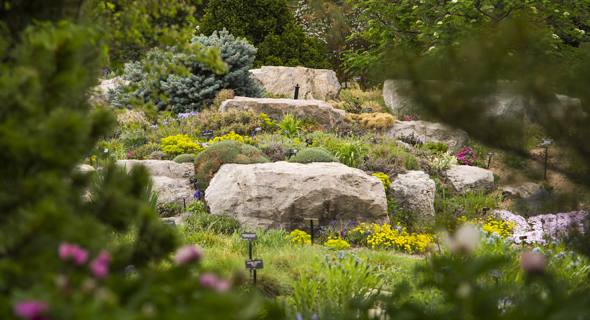 In the Steppe Garden, learn about the fragile steppe biome and about steppe landscapes across the world with climates and plant communities similar to our semi-arid region. Featured are Central Asian, South African, Patagonian and North American Steppes.